Most home-owners have a toolbox of some type in their home to help with all of the little maintenance projects that come with ownership. You never know when you need to hang a picture or tighten a screw or patch a wall. 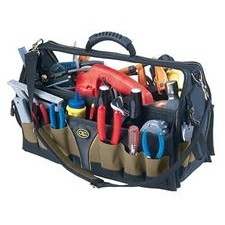 This toolbox is filled with many different tools to help accomplish these projects. A pastor does many things in fulfilling his shepherding responsibilities. He prays. He preaches. He counsels. He leads. He encourages. He sympathizes. He comforts. He disciples. He confronts. He reproved. He rebukes. He exhorts. He teaches. He serves. And in all of this activity, he has one tool: the Bible. His shepherding skill comes in how he uses this one tool for the many circumstances that arise in the life of a church. Even an Apostle must read. … He is Inspired and yet he wants books! He has been preaching at least for thirty years, and yet he wants books! He had seen the Lord, and yet he wants books! He had had a wider experience than most men, and yet he wants books! He had been caught up into the third Heaven and had heard things which it was unlawful for a men to utter, yet he wants books! He had written the major part of the New Testament, and yet he wants books! The Apostle says to Timothy, and so he says to every preacher, “Give yourself unto reading.” The man who never reads will never be read. He who never quotes will never be quoted. He who will not use the thoughts of other men’s brains proves that he has no brains of his own. Brothers and Sisters, what is true of ministers is true of all our people. You need to read. Renounce as much as you will all light literature, but study as much as possible sound theological works, especially the Puritan writers and expositions of the Bible. We are quite persuaded that the very best way for you to be spending your leisure is to be either reading or praying. You may get much instruction from books which afterward you may use as a true weapon in your Lord and Master’s service. Paul cries, “Bring the books”—join in the cry. On Sunday I finished preaching through 2 Timothy. You can listen to (or read) my 14 messages messages here. 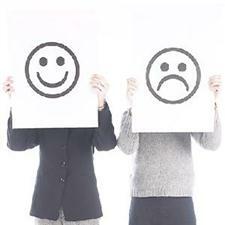 Paul wrote the letter to Timothy because of Timothy’s discouragement in the ministry. He was facing resistance from many in the church, who were pulling people away from the faith. 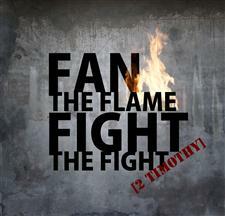 Paul’s council to him was “to fan into flame the gift of God” (2 Timothy 1:6). That’s the only way that anyone will endure in ministry–if God burns brightly in your life. – “Join with me in suffering for the gospel according to the power of God” (2 Timothy 1:8). – “Suffer hardship with me” (2 Timothy 2:3). – “All who desire to live godly in Christ Jesus will be persecuted” (2 Timothy 3:12). 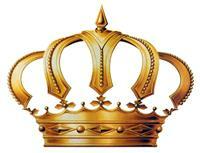 “How sweet it will be, when Christ puts on the crown on a sinner’s brow! … He will finish our redemption” (Robert Murray M’Cheyne, From the Preacher’s Heart, p. 413). See 2 Timothy 4:8. Near the end of his life, Paul wrote a letter to encourage Timothy, his son in the faith, to persevere in the ministry. Paul told him of his own testimony, of how he was able to endure until the end. Paul wrote, “I have fought the good fight; I have finished the course; I have kept the faith” (2 Timothy 4:7). Paul’s hope is that Timothy would be able to follow in his steps. What a good thing to be able to say at the end of your life. 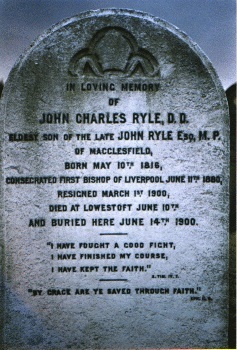 One of my favorite authors, J. C. Ryle, has this verse inscribed on his tombstone. Will you be able to put it on yours?